Jobs in the legal sector are well sought after and require a lot of hard work and an investigative mind. They are also very wide ranging and it can be confusing trying to decide where to start. Here is Strike-Jobs guide to the Top 10 Careers in the Legal Sector in 2014. Bailiffs are also known as Enforcement Officers or Agents. When a person is in debt and they cannot pay, a bailiff is sent to their home to remove and sell items in order to pay off the debts that they owe. There are two types of bailiffs, Court-appointed Officers and Certificated Bailiffs. Court-appointed Bailiffs work for the courts and Certificated Bailiffs work for firms and companies. This job is ideal for confident people who are able to deal with a range of people, often under stressful circumstances. Qualifications Needed: A good understanding of the law is necessary, along with GCSE’s and a good background in dealing with the public in difficult situations. To become a Certified Bailiff you must have a Bailiff General Certificate, which can be applied for through your local court. Average Salary: £18,000+ per year. A Forensic Psychologist analyses criminal behaviour to try to explain why people commit crimes. They support offenders and help them make positive changes. The job includes supporting Police Officers through investigations, supporting Civil Justice Staff and treating patients. Forensic Psychologists must be able to cope with extreme offenders with severe personality disorders. Qualifications Needed: A British Psychological Society accredited degree in Psychology followed by a Graduate Basis for Chartered Membership. Alternatively a Health and Care Professions Council approved programme of training leading to registration as a Forensic Psychologist. Average Salary: £20,000+ per year. A Probation Officer helps offenders who are serving the community through court orders. They ensure that the offender is rehabilitated after release. A Probation Officer needs to be friendly, confident, calm and fair. The job includes ensuring that the offender carries out community service, doesn’t reoffend and is aware of how their offences affect their victims. Qualifications Needed: A degree in Community Justice and a Level 5 Diploma in Probation Practise are essential. Average Salary: £28,000+ per year. A Coroner is an independent Judicial Officer who investigates the cause of death of those who died suddenly, under suspicious circumstances, or in Police custody. A Coroner is required to liaise with Doctors and Police and order port-mortem examinations, register deaths and write reports. Qualifications Needed: A Coroner is highly skilled so this role is suited for someone who is already a qualified Barrister or Solicitor with at least five years experience. Typically, you would start out as a Deputy Coroner to begin with and work your way up to Coroner. Average Salary: £83,000+ per year in a full time role. A Court Usher ensures that everyone is present and in attendance at the correct court case. 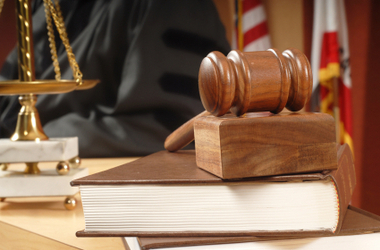 They ensure that the court case runs smoothly by assisting people. An Usher prepares the courtroom, meet and greets visitors, calls defendants and witnesses into court and directs the taking of oaths. Qualifications Needed: To be a Court Usher you must have great communication and people skills, alongside two GCSE’s. Experience dealing with the public in difficult circumstances is desired. Average Salary: £14,000+ per year. This role is perfect for someone who enjoys studying law and would like to pursue a career in legal work. Solicitors advise their clients about the law and represent them in court. A Solicitor can work in a private practise dealing with family law and civil matters, a commercial practise dealing with companies and employment law or for a company or Crown Prosecution Service. Qualifications Needed: There are a few ways to become a Solicitor. Firstly, complete a law degree and then undertake the Legal Practise Course. Alternatively, complete a degree followed by a Common Professional Examination or Graduate Diploma in Law and Legal Practise Course. Average Salary: £16,000+ per year. A Private investigator checks information and carries out secret enquiries for their clients. Knowledge of law is essential and you must be happy to work independently. The role may include surveillance, tracing missing people and background checks. Qualifications Needed: Experience in a security role, policing or enforcement is essential. Regulations are being brought in so that Private Investigators undergo training for the job. Average Salary: Varies depending on hours, availability, skill and clients. A Family Mediator mainly deals with conflict management. Family Mediators help divorcing couples to come to an agreement without going to court. The job includes meeting clients, holding meetings, discussing and listening, suggesting solutions, note taking and liaising with solicitors. Qualifications Needed: Experience working with families is essential. Other experience in conflict management is desirable. A qualification in law is not always essential as training can be given in a volunteering role. A Crown Prosecutor ensures that people are brought to court for good reason. They examine criminal cases and decide whether there is enough evidence and public interest for a prosecution. They check facts and evidence, explain decisions to Lawyers, witnesses and Police, prepare and present the case in court, question the defendant and witness and sum up the case. Qualifications Needed: To become a Crown Prosecutor you must already be a qualified Solicitor or Barrister and must have completed your Legal Practise Course or Bar Professional Training Course. You must also have had two years training or a 12 month pupillage. Average Salary: £27,000+ per year. Barristers give legal advice to Solicitors and other clients. They represent individuals and organisations in court and at tribunals. This job would suit someone who is confident, enjoys public speaking and able to handle a lot of confidential information. Qualifications Needed: A degree is required to begin with. Either a law degree or any degree followed up with a postgraduate Common Professional Examination or Graduate Diploma in Law. Average Salary: £12,000+ per year. Search and apply for jobs in the Legal sector, and start your dream job today! This entry was posted in Top 10 Jobs and tagged agent, bailiff, barrister, coroner, court, court usher, crown prosecutor, debt, enforcement, family mediator, forensic, forensic psychologist, forensics, graduate, graduate jobs, illegal, investigator, Jobs, law, legal, legal jobs, legal sector, mediator, officer, private investigator, probation, probation officer, prosecutor, psychologisyt, sector, solicitor, strike, strike-jobs, study, usher, work. Bookmark the permalink.